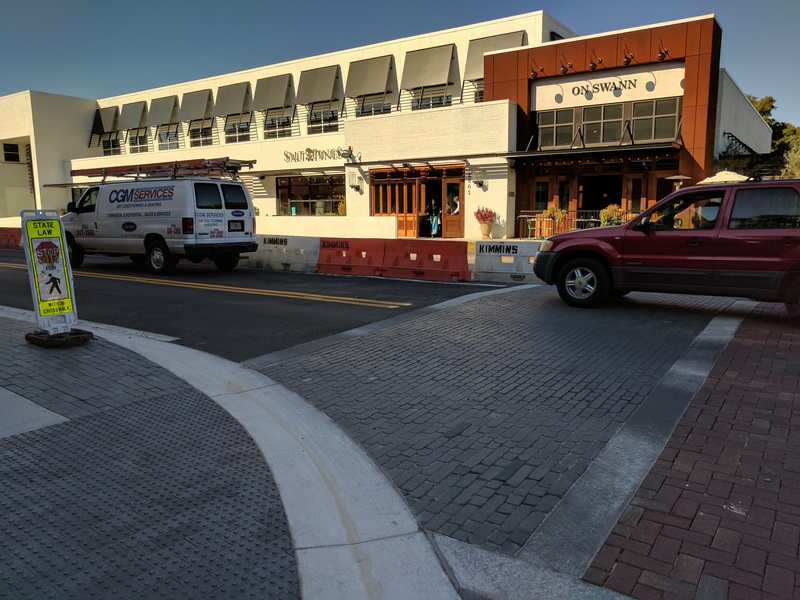 This $3 million civil/site design project consisted of renovating streetscaping and existing City streets for an upscale shopping area in South Tampa. KCA provided planning, civil engineering design of roads, sidewalks, and drainage; and permitting to reconstruct the existing sidewalks for Americans with Disabilities Act (ADA) compliance, reduce roadway lane widths to lower vehicle travel speeds, provide for more on-street parking, and improve pedestrian and bicycle mobility throughout the entire Village along Swann, Dakota, and Snow Avenues. Chris Meares, PE, is the current Project Manager for the Hyde Park Village Reconstruction project. Alfredo Cely, PE (while employed at another firm) served as Project Manager for the City project, which reconfigured Swann Avenue from Freemont Avenue to Bayshore Boulevard from a four-lane undivided urban collector to a three-lane undivided collector with bicycle facilities and on-street parking. 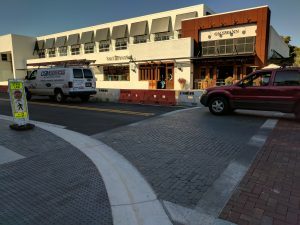 This 1-mile project, which ran through the Hyde Park Historical Neighborhood in Tampa, was completed under an accelerated schedule (three months) to showcase neighborhood multimodal connectivity during the Republican National Convention of 2012. The project included signing and pavement marking (S&PM), field evaluation of side street sight triangles to properly accommodate on-street parking, bicycle upgrades, mid-block crossings, valet parking design, and ADA upgrades.